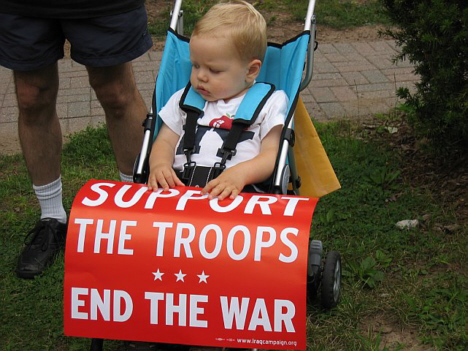 On August 16, 2007, MoveOn.Org issued a report detailing the cost of the Iraq war by Congressional District. More than 150 vigils publicizing the report were held across the country, including our vigil in Ricalton Square, Maplewood. 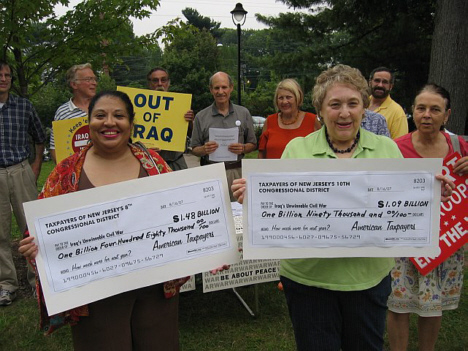 The two large checks held in the photos below represent the cost to the 8th NJ Congressional District of $1.48 billion and the cost to the 10th District of $1.09 billion.